Today on Kate’s Curiosities, we’re going to talk about one of my favorite Harry Potter characters: Ickle Ronniekins… er, I mean, Ron Weasley. Specifically, we’re going to talk about his characterization in the first two chapters he shows up in Harry Potter and the Sorcerer’s Stone. And there will be merriment and lots of literary nostalgia goodness. If you click the picture above, you’ll see that I have created a list of 23 books and series, from Early Readers to Young Adult, that I think capture the magic of reading and the joys of being bookish for all ages, either through their plots or through their equally bookish characters. Hermione, of course, had to be included on that list, but you’ll find many other lovely books, classic and contemporary, that you’ll want to check out if you haven’t already. Then, share it on your blog, your Facebook, your Twitter, your Tumblr. Share it with your bookish friends, and your friends who have bookish kids, and so on. Okay, I’m done with the self-promoting. Now onto Ron! As of late, I have been taking a class on Editing Children’s and Young Adult Fiction. Last week, I was asked for this class to think about a character from a Children’s or YA book that had impacted me growing up. I was admittedly a bit indecisive, waffling back and forth between a few different characters I had loved, but ultimately I decided I had to go with Ron. Now maybe I was partially primed by the fact that Ron’s birthday is March 1st. But in general, Ron Weasley is a character who has given me delight and disappointment, happiness and heartache. I can’t say he impacted me in terms of being someone I could relate to, or someone I model myself after. But let’s just say there’s a reason why I’d prefer to skip Chapters 16-20 of Goblet of Fire, and Chapters 15-18 of Deathly Hallows. These are the chapters when Ron and Harry were fighting. Looking at just the chapter numbers, it seems like such a short amount of time in the scheme of things. And Ron had many more fights with Hermione throughout the series (most notably the conflicts with Crookshanks and the Firebolt in Prisoner of Azkaban). But maybe because Ron and Hermione had begun their relationship fighting, it was natural they fell back into that sometimes. But Ron and Harry? Not friends? It felt wrong. Those chapters when they were fighting were agonizing for me as a reader. And I think it’s because of how much Ron means to Harry and, by proxy, to me as a reader. I mean, people who dislike Ron are justified for doing so, I get it. I mean, I don’t particularly like Draco or Snape the way others do, and I don’t begrudge them that. But there’s a reason that Ron is Harry’s best friend. There’s a reason why J.K. Rowling gave Ron to Harry, specifically. And I think, after taking on this assignment, it was really all there in their first meeting. You see, the assignment was to read the first two chapters in which the character appears and analyze what aspects of characterization were utilized by the author to make this character memorable. 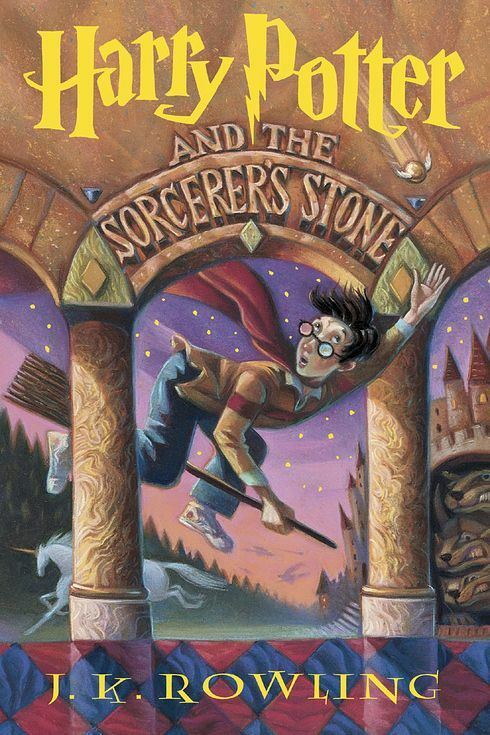 And rereading Chapter 6 alone with Ron’s character in mind is quite a different experience. 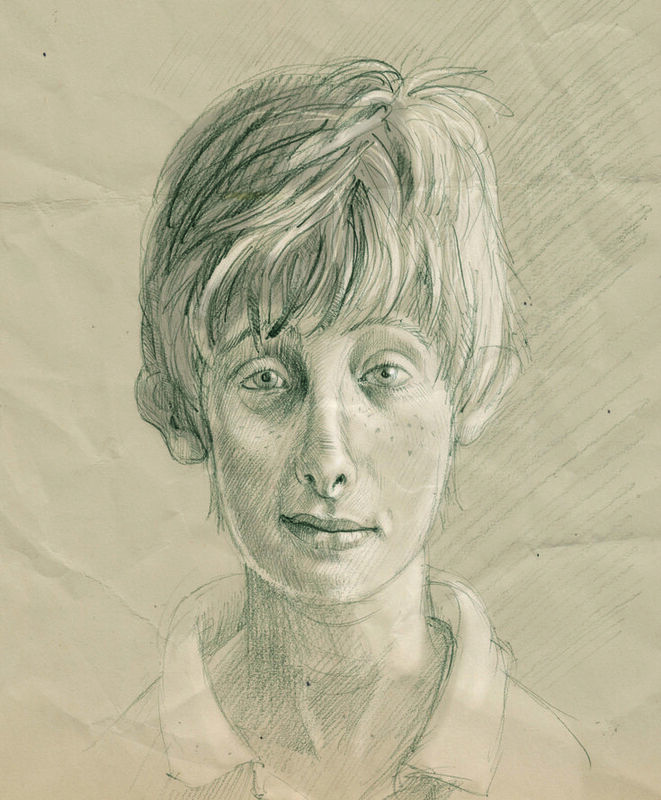 Jim Kay’s portrait of Ron for upcoming illustrated edition. 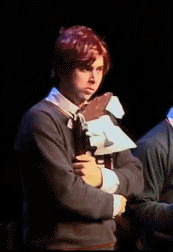 First, it should be pointed out that he is the Weasley described in the most detail, meaning he will be important later. 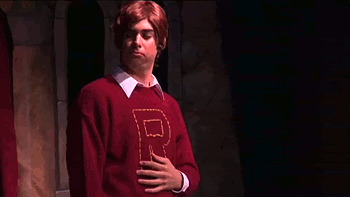 But let’s also note that, like Harry, Ron could be considered skinny and awkward-looking. 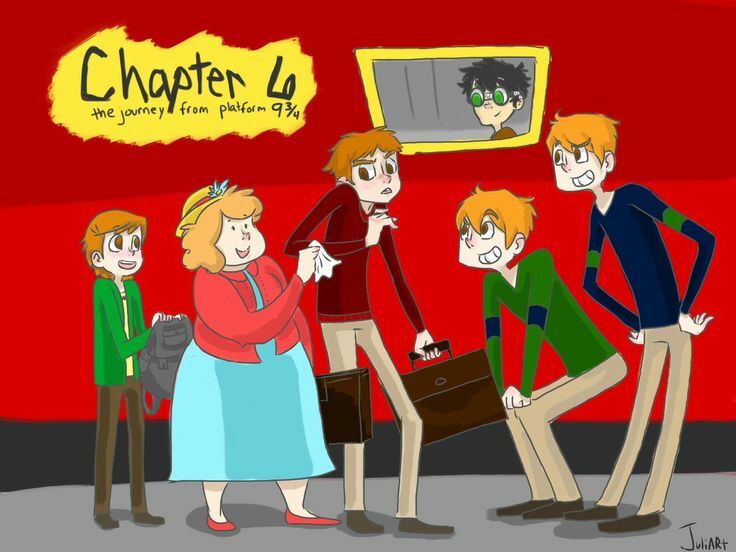 We next see Ron outside the Hogwarts Express with his family after Fred and George have discovered who Harry is. Ron, notably, does not react right away to the revelation, as Ginny and his mother do. He is, however, clearly ready for a taste of freedom from his family, as his mother tries to get dirt off his nose and his brothers, only a year older and not much taller, baby him. Though his desire for freedom is of a lesser degree than Harry’s – Ron’s family loves him, and he loves them back more than he can expresss – it’s still another trait that connects them even before they’ve spoken a word to each other. It’s when Ron finds Harry alone in his compartment that they properly speak. Ron, probably relieved to see another familiar face other than those of his brothers, sees that they’re both a bit on the outs as he asks to sit with him. But Ron, probably not too used to socializing without his family around, doesn’t immediately start making conversation. Indeed, Fred and George actually end up making the introductions for them. Ron is very open with Harry here, confessing his worries about getting sorted and living up to his family, his frustrations with getting only hand-me downs (i.e. 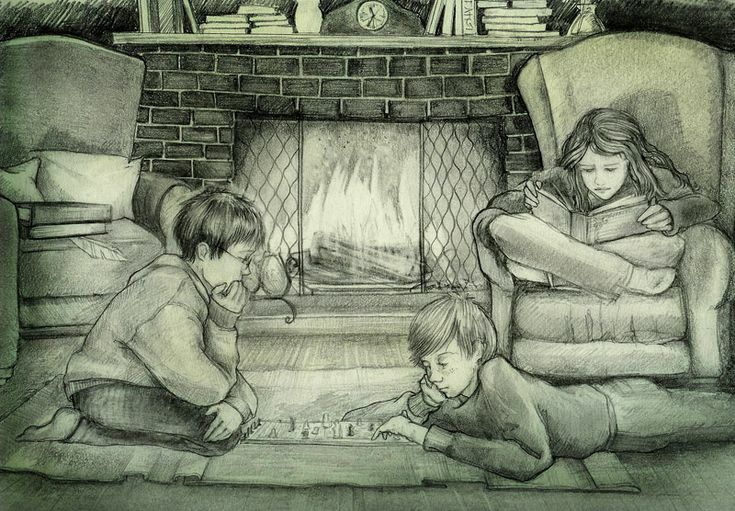 “I’ve got Bill’s old robes, Charlie’s old wand, and Percy’s old rat.”) The one thing he gets coy about, in fact, is the fact that they’re poor, his ears going pink (a trait we see reappear often when Ron is flustered) as he almost blurts it out. These are issues he wrestles with throughout the rest of the series, so to have it all in the open so early on is pretty incredible. But Harry doesn’t care about all that. He was poor his whole life up until Hagrid brought him to the family vault. He knows what it’s like to have little for yourself – even more so, because he didn’t have a loving family to support him. This is why Harry, when the candy trolley comes around, buys as much as he can and immediately shares it with Ron, who can only offer up a dry corned beef sandwich in return. He likes not only having something to share, but someone to share with! Harry is also able to confess his fears about being behind in the ways of wizards. Even though Hagrid already told him he’d be fine, it is Ron’s reassurance that finally makes him feel better about coming from a muggle household. I think this shows that, despite their different backgrounds, Harry and Ron have found an equal in each other. They are each other’s first friends who are their own age, which, at eleven, is very important to have. They have also both felt lonely and overlooked in the past, and can confide in each other about such things without fear of being judged. A fear that becomes very real in the face of Draco Malfoy. 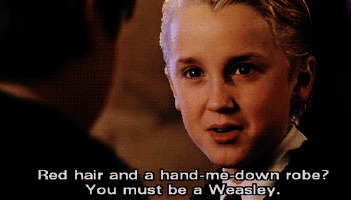 Draco, as has already been established when Harry meets him in Diagon Alley, is a prejudiced little jerkwad. But now that he knows who Harry is, he’s willing to be much nicer… to Harry. But he doesn’t even try to be polite to Ron, calling his poor, muggle-loving family “the wrong sort.” Ron immediately gets ticked off. For all he that feels like an outsider in his family, and for all that he wishes he wasn’t poor, he’s fiercely loyal to his family. And then Harry takes Ron’s side. He immediately dismisses Draco the same way Draco immediately dismissed Ron, and is even willing to fight Crabbe and Goyle, who are much bigger than them, alongside Ron. You could say that, just as taking on a fully-grown mountain troll brings Hermione into their fold later on, this is the moment that Ron and Harry’s friendship was cemented. Harry was willing to fight alongside Ron, for something that wasn’t even about him. Harry, thus, earns Ron’s loyalty. “’What they don’t move at all?’ Ron sounded amazed. ‘Weird!‘” – about Muggle photographs. “’Whatever house I’m in, I hope she’s not in it,’ said Ron.” – about Hermione. Humor! Humor is a very important part of Harry’s relationship with Ron. Much as we all love Hermione, she doesn’t really provide a lot of that for Harry, who had to develop a sense of humor while living with the Dursleys. With everything that Harry has to deal with, he needs someone to lighten things up. Whenever they are fighting, the absense of Ron’s humor is felt keenly by Harry and Hermione… and the audience! It is said that if you can get an audience laughing, you will have them on your side, and that can definitely be said for Ron. I always thought I loved Ron mainly for his humor. Reading this chapter again, I think that’s still a big part of it, but there’s something else too. I think mainly I just love how well Ron and Harry click together at their first meeting. 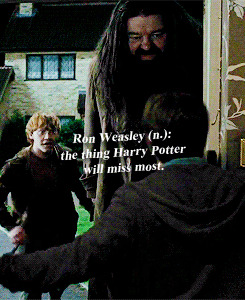 Ron, like Harry, is an underdog, but a tremendously brave and loyal one. He feels a little left out, and finds in Harry someone his age who he can relate to. And sometimes that’s all you need to build a strong relationship. Not all friendships are born in fire. In fact, realistically, I think most aren’t. Of course, maybe that’s my personal experience talking. See, I don’t remember the exact moment I met my best friends (To be fair, I was five). I can guess that I met one through a mutual friend, the other through constantly being paired as the shortest in our respective homerooms. Harry Potter had probably just been published in the UK, but wouldn’t be known in America for another few years, certainly not to any of us. In many ways we’re so different, but I suppose we must have recognized something like a kindred spirit in each other as well, because over the years, we developed many of the same interests, even when we were living in different states! We’ve been friends for close to twenty years now, and while we never had as huge a falling out as Harry and Ron had, there were times we didn’t see each other as much, times we felt distant from each other. But once we’re together again, it’s as if no time has passed. 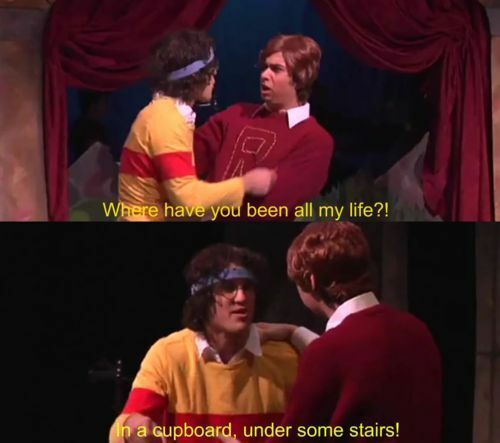 So perhaps that is why I cherish Harry and Ron’s friendship so much, why I cherish Ron so much. What are your thoughts on Ickle Ronnie First Year? Do you think Rowling set him up well in his first appearance?